Our students continue on through middle school, high school, college and beyond to do amazing things in so many different disciplines. We hear time and again how their education at TIS shaped their views and processes in undertaking these endeavors. It’s our pleasure to share some of those accomplishments with you! The global influence of an education at The International School is evident in alumna like Ciara Williams. Ciara graduated in 2010 from the Spanish track. However, like many of our alumni from the mid-2000’s, Ciara speaks highly of her time performing Chinese dance at TIS – she smiles as she remembers performing at the LanSu Chinese Garden and the Oregon Convention Center. 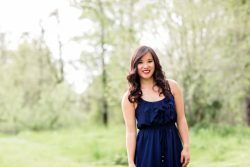 Because of the influence of Chinese dance and culture, she continued on to study Mandarin at West Sylvan middle school and Lincoln High School in addition to being part of the Spanish immersion program. 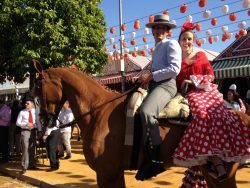 She graduated from Lincoln in the IB diploma program, and even wrote her extended essay entirely in Spanish! Being bilingual is clearly something that played a role in Ciara’s daily life. She’s been a nanny for a Spanish-speaking household; volunteered with the Bienestar summer lunch program in Hillsboro, and worked in an IB Spanish class St. Paul, MN, where she now attends Macalester College. When Ciara was beginning at Macalester, she tested into 300-level Spanish classes as a Freshman! She is pursuing a double major in International Studies and Spanish, and works for Macalester as an instructor in the Language Lab helping her peers practice their grammar and improve their speaking skills in Spanish, in addition to working as a Spanish tutor in the Macalester Spanish & Portuguese Department. In Fall 2019, she will study abroad at the University of Granada (Spain). In addition to her rigorous academic and extracurricular schedule, Ciara is a NCAA athlete as a sprinter on the Macalester Women’s Track and Field team. 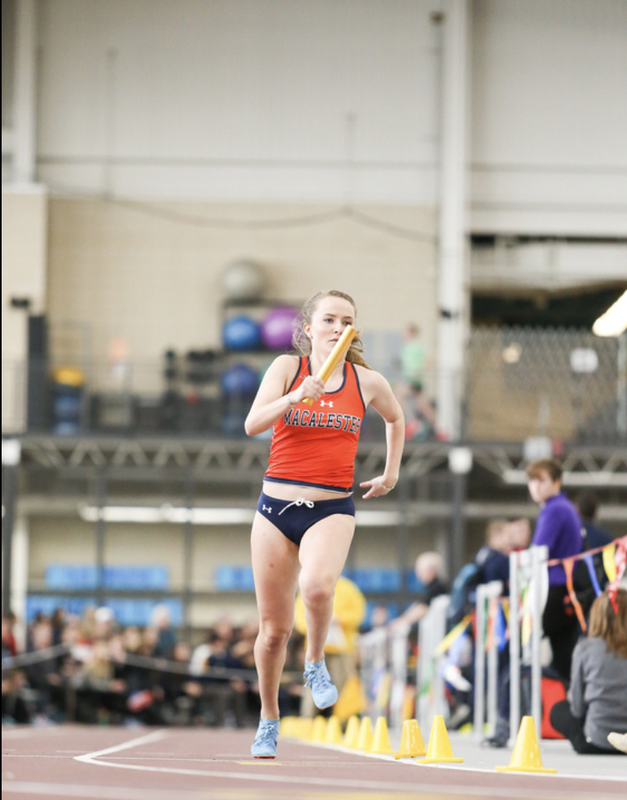 In the most recent indoor season, she competed in the Minnesota Intercollegiate Athletic Conference Meet in the 4x200 and the 600. During Ciara’s senior year of high school, she returned to TIS as a 4th grade classroom volunteer and also as Coach Rob’s Run Club assistant. She laughs as she tells of 2 girls in Run Club enrolled in the Chinese Track. Once they found out she was studying Mandarin despite graduating from TIS in the Spanish track, it became their own little game to quiz Ciara on her Mandarin skills. Ciara enjoyed returning to TIS and “coming full circle,” helping out today’s little global citizens (and perhaps more future track stars!). Sara is quick to point out that she was certainly good at procrastinating when she was a student at Mt. Tabor Middle School and Grant High School. However, it differed from the usual teenage procrastination. “My version of procrastination was doing a bunch of research and trying to decide what to do with my life.” That’s how she found neuroscience. Madeleine’s list of accolades runs deep: high school Valedictorian of the International School of Beaverton, Assistant Vice President and Scholarship Chair of Chi Omega Fraternity, Junior Class Representative for the Chemical, Biological, and Environmental Engineering (CBEE) Student Club, Research Experience for Undergraduates (REU) recipient from the National Science Foundation, and a prestigious Society of Chemical Industry (SCI) Scholar from the American Chemical Society. 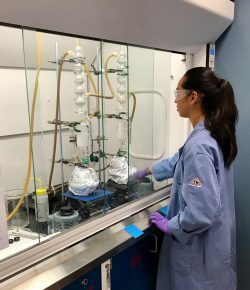 Madeleine attends Oregon State University’s Honors College, where she says has been “amazing.” In 2016, she traveled with classmates to San Francisco for the American Institute of Chemical Engineers National Conference to present her research as well as volunteer. 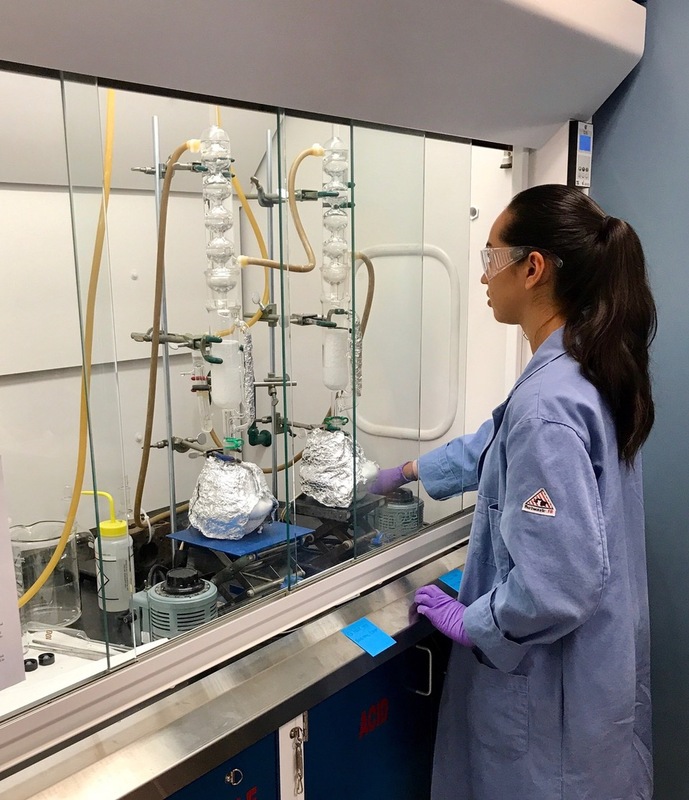 Madeleine also started doing research in an OSU bio-engineering lab to continue merging her interests of engineering with humanitarian applications. 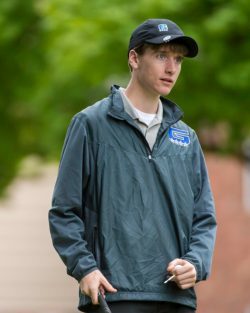 Kilian graduated from Grant High School, where he participated in band, golf and other intramural sports during high school; though he most enjoyed mock trial given his comfort with public speaking. He also spent 4 weeks during the summer of 2018 at TIS working at Summer Camp in the Japanese classes. There was also a required essay for the scholarship application. Kilian wrote about how his education in Japanese put him in a position to fully understand golf, of all things. He wrote about how it occurred to him one day that golf and the Japanese culture both share a deep regard for respect. In both the culture of Japan and in golf, there is structure and ritual that is expected in certain situations. Kilian says when he would be on the course, caddying, it wasn’t uncommon to chat or joke before teeing off or in between holes. But once the game was on, “you had to flip a switch” and respect the golfer’s concentration. It was quite an impressive and distinctive essay. Despite all the discussion about the serious structure revolving around golf and parts of the Japanese culture, Kilian clearly retains a sense of humor. When asked about one of his most prominent memories of TIS, he responded, “Well, one time I drank a bunch of milk and ate mandarin oranges in a fruit cup. Then I puked all over Hideko Sensei’s shoes.” Our TIS alumni are pretty phenomenal, but kids will still be kids! Kylie started training in martial arts at age 3; when she was almost 4 she began training in Wushu (Kung Fu) at the US Wushu Center with Masters Yu Shaowen, and Gao Jiamin in Portland's Pearl District. 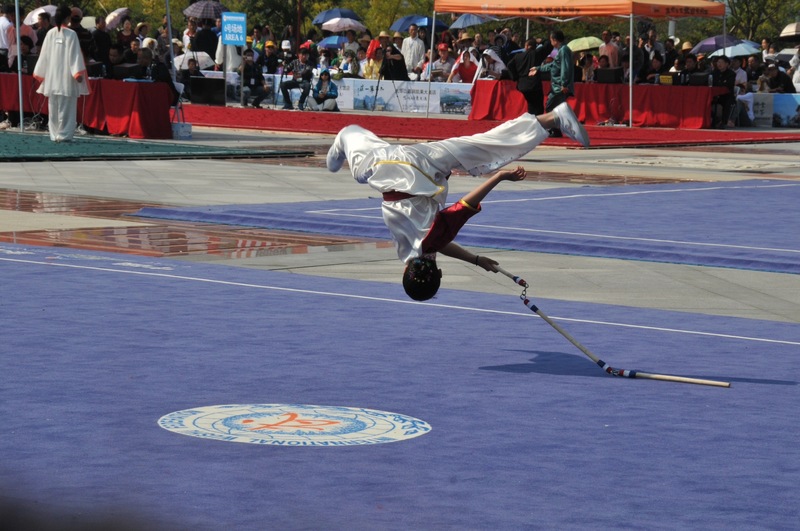 Kylie began competing around age 6 and has been a member of the US National Traditional Wushu Team. 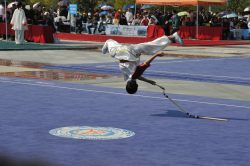 Kylie has traveled to Chizhou, China to compete in the World Traditional Wushu Championship where she placed 2nd in the Girls 12 and under Other Weapons competition and 15th in Hand Form. Kylie's competition season usually begins in March and ends in August or September, depending on when the World Championships are held. She has also competed in International Tournaments held in Berkeley, San Jose, and Las Vegas. Kylie has also excelled in competitions, having been declared Overall or Grand Champion at 3 past events in addition to winning from between 1-4 of her events and usually finishing in the top 3. Jared currently attends the University of Chicago. “My goal is to get an MD-PhD in Epidemiology and to research/treat HIV/AIDS... Knowing Chinese and attending TIS has really been instrumental in guiding me towards the career path of global health; [it] has helped shape me into someone who is open-minded, disciplined, creative, intellectually curious, and broadly engaged.” He attributes his acceptance into the University of Chicago to TIS. “My interviewer moved from Taipei to the United States when she was about six…After I told her that I had been learning Chinese for about thirteen years, we continued our interview in a Chinese-English mix… What set me apart in the application pool was that I was able to adapt to the change in circumstance...and connect all of my interests and skills together in a way that I definitely would not have been able to without attending TIS.” This past summer, Jared was accepted into the Health Policy Scholars Track within UChicago's Careers in Health Professions Program. He also worked giving tours of the UChicago campus (some in Mandarin! ), and was hired as an intern of the Chicago Center for HIV Elimination in the Pritzker School of Medicine. If that wasn't enough, he also interned at the Illinois Department of Public Health designing patient handouts to inform people about Naloxone. Quite the accomplishments! Landen graduated from Kansas University, where he was a forward on the KU men’s basketball team. He attended TIS in the Japanese track after living in Japan. In 2015, Landen started 14 and played in 32 games for the season. Landen has played for team USA at the 2015 World University Games in Gwanju, Korea, where his team posted an 8-0 record and brought home the Gold Medal! “Landen often thinks of his time at the International School” says his mom, Shelley Lucas. “He still studies Japanese in college and practices with other Japanese students. He gets asked to do interviews and make speeches in Japanese. He feels that being bi-lingual will always enhance his ability to communicate across cultures and advance him in his future career.” Landen keeps in close contact with his teachers from TIS - two even had the good fortune to see him play at KU! 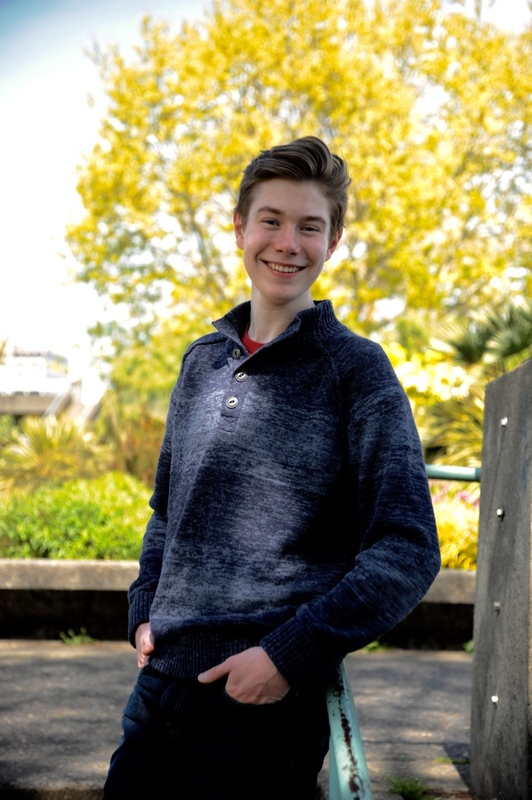 Alexander is currently studying math, music, and philosophy at Stanford University, where he notes his biggest accomplishments are “finishing my first quarter and finding the bathrooms nearest to my classes.” Humor and humility aside, Alexander is quite a remarkable young person! Before leaving Portland for Stanford, Alexander graduated from Catlin Gabel high school. He was part of the upper school robotics team, where he participated in the Robotic World Championship won the Innovation in Controls award in 2016. Also in high school, Alexander won first place in piano competitions for both Baroque and Romantic music. He was the first-ever high schooler to have been offered a part-time paid internship at a local Portland software company during the school year, and then followed that up with working at local community radio station KBOO 90.7. 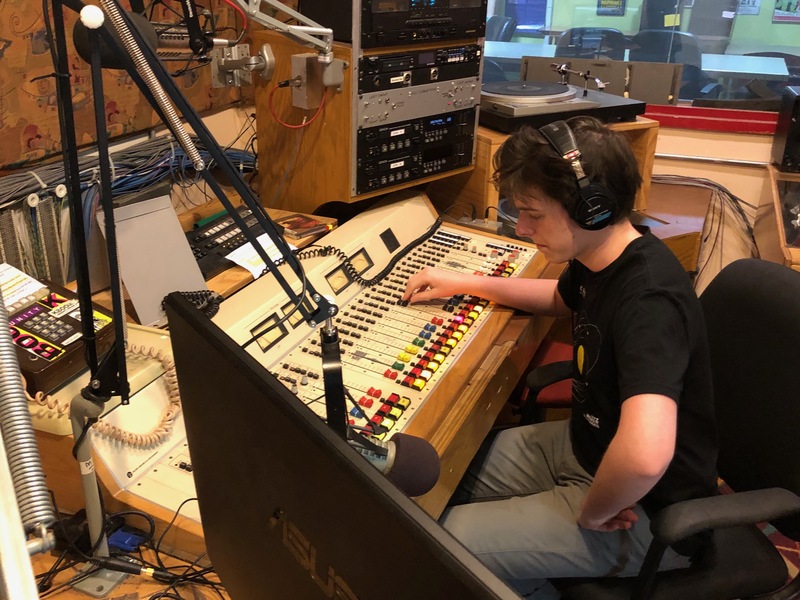 At KBOO he engineered, hosted and mixed live music and talk shows to support the mission of KBOO to elevate marginalized voices. He stays connected with the Spanish language and Spanish-speaking cultures both through his maternal family and his personal passion for South American literature. He is planning on applying his language skills in the coming months on campus with unionization efforts for workers' rights. By far her favorite single memory at TIS was Capstone. “It was so scary at first, but learning in a real Chinese school and just being there with my classmates and teachers was amazing.” JinMei continues to credit her TIS teachers, like Jennifer Laoshi and Sophia Laoshi, as one of the best things about TIS. 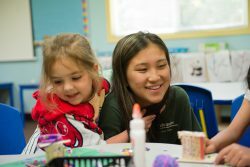 We are so grateful that JinMei spent her summer with TIS! Post-TIS, JinMei attended Hosford Middle School and Cleveland High School, both as part of the PPS program for Chinese language immersion. 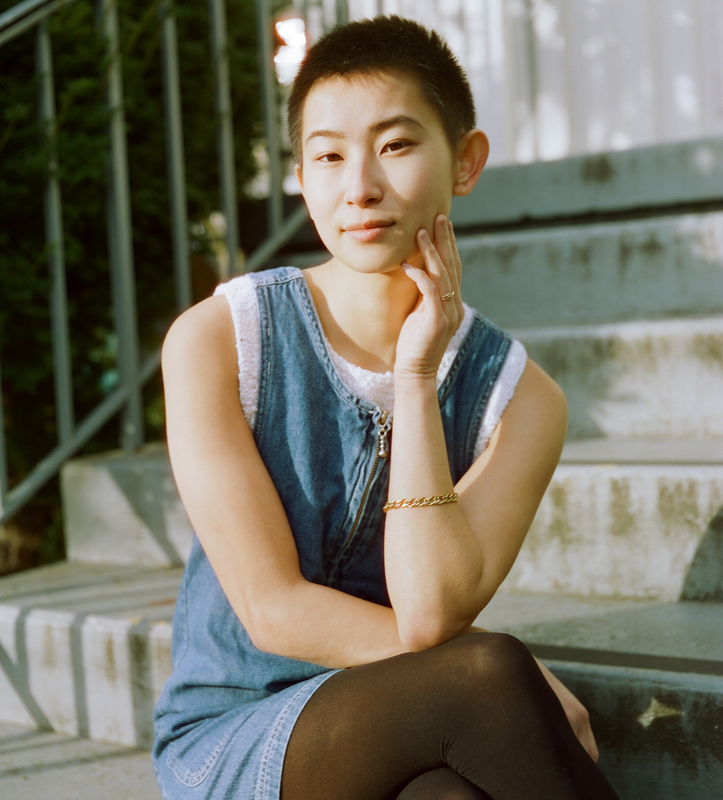 She is currently attending Portland State University, where she is continuing to study Chinese. She feels the language foundation she gained in Chinese at TIS was so evident during her freshman year at PSU. She is enrolled in Chinese classes that have expanded her studies to traditional Chinese as well. While her major is yet to be determined, she has her eye toward incorporating her love of social and environmental studies with film. During summer 2018, JinMei returned to campus to work with the Chinese language summer camps for 6 weeks. It was fantastic to have her spend her summer back at TIS! 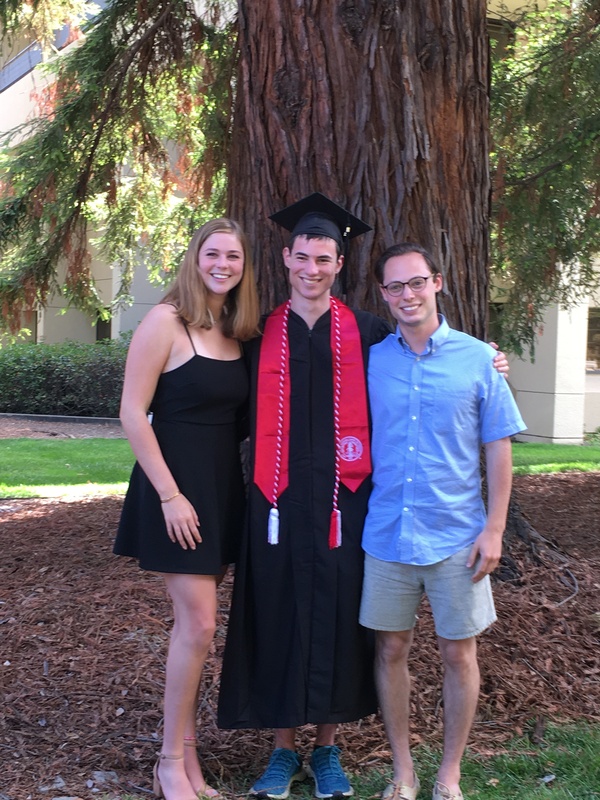 Logan graduated from Stanford University in Spring 2018 with a major in electrical engineering and a minor in Japanese. As a member of the Stanford NCAA men’s sabre team, he was captain during his junior and senior years and graduated with highest cumulative GPA for a senior varsity athlete. During his sophomore year he studied abroad in Kyoto – something he knew he wanted to do as soon as he got on campus. “I used to always think people were exaggerating when they said their quarter abroad was their most impactful quarter of school, but after that I knew they were actually telling the truth.” In that study abroad program, he stayed with a host family and took classes at the Stanford Center, located on the Doshisha University campus in Kyoto. Logan has had a number of internships in electrical engineering throughout his time in college, most recently for Tesla. He’s currently working on a 5th year master’s program at Stanford. Logan is picture with his sister, Anna, and brother, Brenner , also former students in the TIS Japanese track. Katie double majored in International Business and Chinese at the University of Oregon. When she talks about choosing to major in Chinese, she comments, “Well… they ran out of Chinese classes! 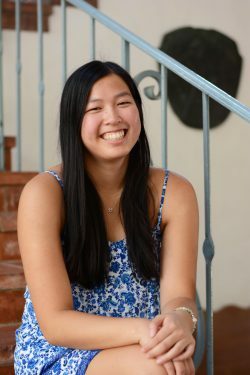 !” Katie was so advanced in her Chinese language skills that she tested into 400-level language classes her first year in college. There were no additional courses for her to take after that first year, so in order to complete her major, she had to study abroad to receive the required amount of advanced credits! After her time at TIS, Katie attended Hosford Middle School and Cleveland High School, continuing on in Chinese immersion and also studying Spanish. She has consistently participated on recreational soccer teams, and also did a 2-week middle school exchange program in China. At University of Oregon, Katie received both a Summit Scholarship and the Gilman study abroad scholarship through the US Department of State. While her TIS capstone trip to China was a formative one, it’s her time studying abroad in Shanghai as a college student that really impacted her. Katie recounts that during this study abroad experience, it wasn’t simply studying the Chinese language where she grew, but having the level of language that she had allowed her to engage with the students her age socially and thus have a rich cultural experience. Having graduated from U of O spring of 2018, Katie came back to the Portland area to work at a language translating firm. She’s a Project Manager, and while not directly involved in translating materials, she says fluency in another language is a huge bonus for that scope of work. She is quite happy in her current field given the globally-minded work, and is looking forward to how her bilingualism will impact her future! Riley and her two siblings attended TIS in the early years, and the Stevenson family has continued to be an active part of the TIS community. After TIS, Riley went to middle school at The Madeleine and high school at Central Catholic in Portland. She attended college at the University of Oregon as part of the Honors College, majoring in Journalism and minoring in Spanish. Riley participated in a number of activities through her school career, including tennis, soccer, swimming; she notably founded the podcast This Oregon Life and has worked for Portland Monthly and Oregon Public Broadcasting’s Think Out Loud. Riley has worked on immigration and migrant worker issues, and has also done a fair amount of Spanish language tutoring and translation work. Most recently, she worked as a training director for Amigos de las Américas, a nonprofit international youth development organization, and is currently working towards her Master Degree in Media Studies, also from U of O. When talking to Riley, it’s obvious that so many of her decisions were directly influenced by her early education at TIS – and that her fluency in two languages and exposure to culture can’t be separated from who she is. The Spanish language and Latin American cultures are in her heart, and she will continue to forge her career and choose her personal interests based around those two things. It’s always a treat to catch up with Riley and hear what she’s accomplished, and we look forward to sharing updates with our community! After The International School, Lucie went on to Gilkey Middle School, Lincoln High School and Scripps College in Claremont, CA. She spent a summer traveling again to China and Vietnam with her family, where she had many conversations with local people in Mandarin. Most people she talked with in China were surprised that children could go to school in the United States in a Chinese language – and speak so well! Lucie always raves about being introduced to Chinese dance. It’s by far one of her best memories. She has found dance once again by participating in the Claremont Colleges Ballroom Dance Company, which she loves. She also is participating in Scripp’s Asian American Sponsor Program. 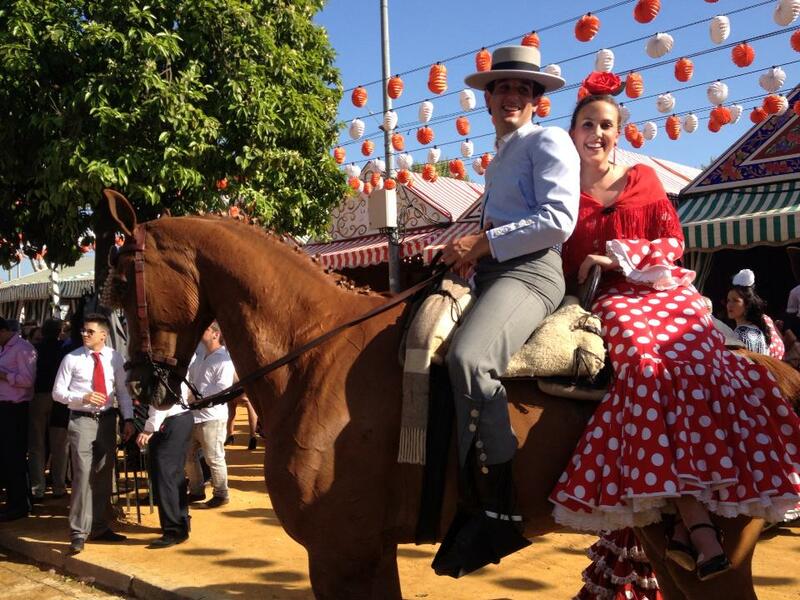 Most of all, Lucie loves to travel and experience other cultures. Travel and culture is what steered her to her current major of anthropology. She’s undeniably comfortable in other cultures, and doesn’t balk at communication challenges. Her moms are quick to remember a story when Lucie was only in second grade and they were traveling into China by train. A ticketing issue resulted in the train attendant initially denying them entry; however Lucie seamlessly stepped into the conversation in Chinese and solved the issue. 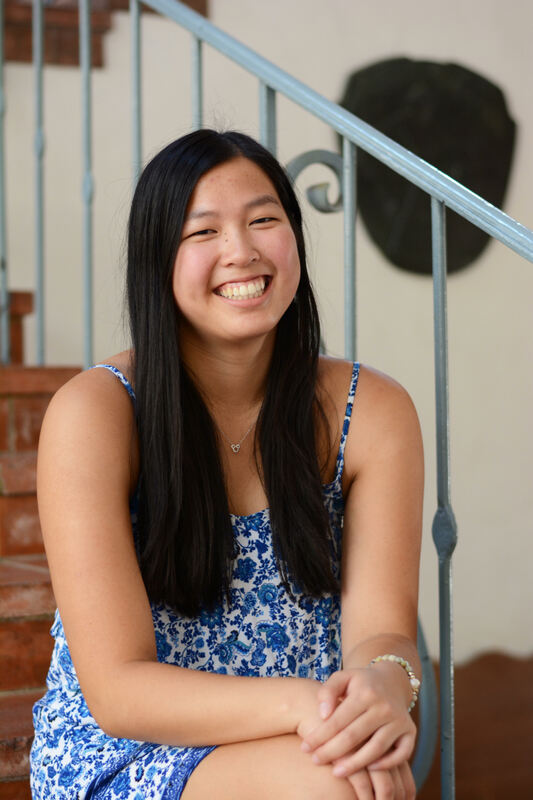 Lucie also tells a memorable story of her junior year at Lincoln, when she was assisting a Chinese exchange student. She studied both Spanish and Chinese at Lincoln, and took the student to her Spanish class. Her Spanish teacher challenged her to translate what the student was saying from Mandarin directly to Spanish – and his responses from Spanish to Mandarin. “That was hard,” she says. But listening to her tell the story, you can tell she was up for the challenge.